The present study was to investigate the utilization of prebiotics by Lactobacillus rhamnosus NCDC 298 and its synergistic adversary effect on both population and production of heat-labile (LT) toxin in enterotoxigenic Escherichia coli (ETEC). To select suitable prebiotic in order to enhance functionality, its utilization and the prebiotic activity score was examined. Antivirulence effect on ETEC was inspected by its inactivation rate and heat-labile toxin production in presence of different synbiotic combination. L. rhamnosus NCDC 298 strain grown well on media supplemented with fructooligosaccharides (FOS) and galactooligosaccharides (GOS), whereas significant inactivation of ETEC was observed when FOS was added to the co-culture medium. Significant decrease in LT enterotoxin was seen through GM1 ganglioside enzyme linked immunoassay (GM1 ELISA), when ETEC has grown with L. rhamnosus NCDC 298 and FOS. Short-chain FOS proved to be the most effective substrate, improving antagonistic activity for L. rhamnosus NCDC 298. 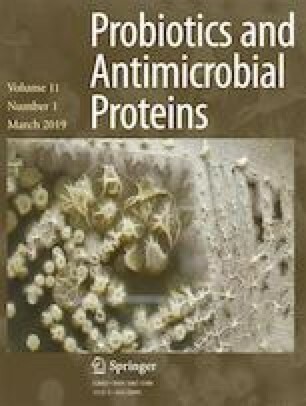 Both L. rhamnosus NCDC 298 with FOS can be used as an effective synbiotic combination for secretory antidiarrheal fermented dairy formulations. The authors thank the Director of ICAR-NDRI for supporting the work. There was no funding available.